Aon Affinity combines dedicated account management and the specialized knowledge of affinity program experience with the extensive resources of a Fortune 250 company to bring you individual insurance offering unparalleled personal service and account management. Ongoing research of insurance trends and member needs allow Aon Affinity to continually deliver competitively priced world-class individual health insurance as well as life, short and long term disability and vision insurance products. Our passion for service ensures we act as customer advocates, providing the highest-quality service. Thanks to skill coaching, monitoring, feedback and a team culture, our representatives bring you comprehensive individual health insurance expertise. 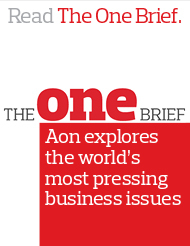 Aon excels at using technology to enhance the client and member experience. Customers have access to interactive voice response phone systems and online e-commerce tools to perform self-service functions at their convenience.